The world has grown smaller and more interconnected due to the advent of faster and superior means of communication. Digital Signal Processing deals with the conversion and manipulation of signals for improving its quality or with intent to modify the signal. DSP helps in combating problems relating to lack of signal clarity and excess noise which usually accompanies signals in any communication circuit. 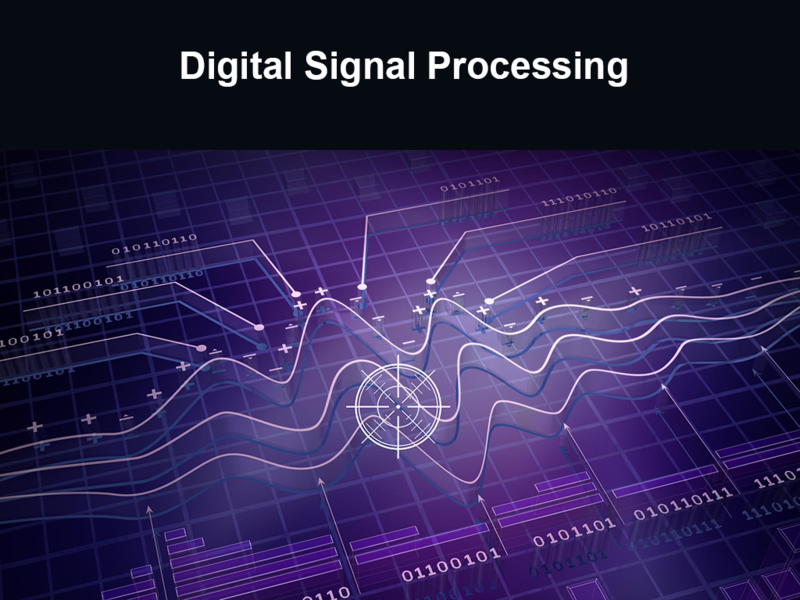 In Digital signal processing, digital signals are processed at very high speeds. Mathematical calculations are performed exceedingly fast by processors making it ideal for systems or events where the delay isn’t desirable. The work of a DSP can be seen when analog signals are converted to digital signals. In such cases, there is always noise and other factors which cause the signal to distort or lose quality. Digital Signal Processing helps to minimize that effect improving the quality of a signal. DSP has become vital in recent years due to the increasing use of computers and the advent of digital devices of varying kinds with increasing frequency. A large number of DSP applications are being implemented on embedded systems with the help of PCs with powerful processors. DSP is a subfield of signal processing and hence is an important area for research and learning for engineering students particularly in Computers, EEE and ECE backgrounds. The subject is also a popular area of research and rightfully so as DSP can be applied in a lot of situations right from voice recognition to digital devices like mp3 players and phones. This course will be ideal for engineering students interested in research and higher education as well as those looking to work in electronics based companies. The field holds a lot of potentials and requires a good degree of innovation.